An intimate poetic and exploratory landscape made of words and sounds that tells about the hardships and the heartfelt sides of human life.. 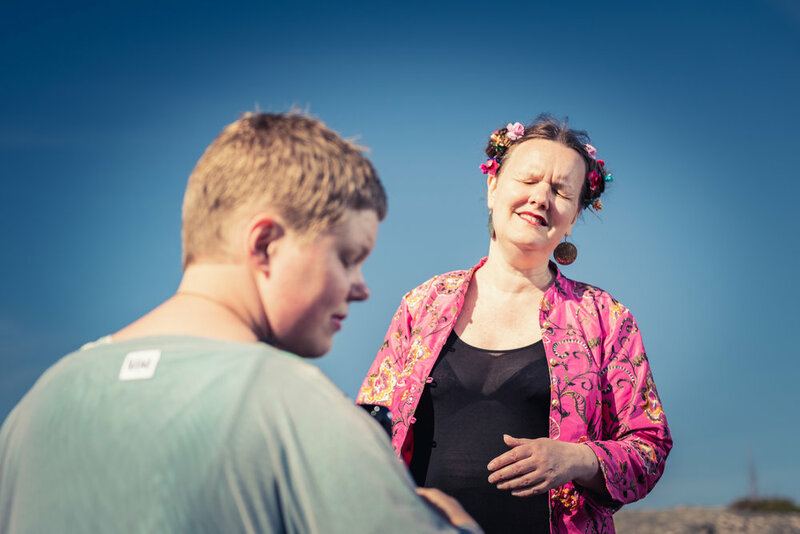 The singer Anki Wallgren and the free bass accordionist Larisa Ljungkrona met at the Academy for Music and Drama in Gothenburg where they both studied at the World music programme. After playing together in different constellations they decided to create a place for their own music, to experiment with sound and develope a space for free improvisation in a new folk setting, dedicated to musical impulses and creativity without limitations, and so, Awilas was formed in 2012. During their four years of working together the duo has created their own distinctive sound, in an encounter between new folk music and free improvisation. Awilas music is characterized by playfulness, strong presence and dense interplay, an intimate, poetic and exploratory landscape that moves between songs and improvisatory pieces. In addition to voices and accordion Awilas use guitar, carillon, loop, kalimba, percussion and dripping water. With small measures they create a large soundstage and their own world for them and their audience.